Alice is a 9 month old, spayed female, Domestic Short Hair. 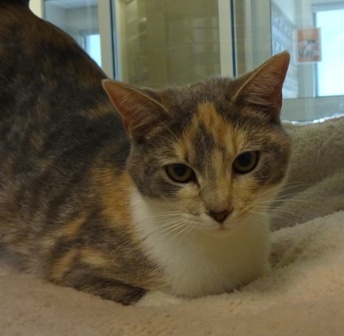 Alice is a beauty that is looking for a home where she is your only cat friend. She also must meet all kids to make sure it is a good match. You can find great cat care tips on our Animal Behavior Handouts!